The alkaline diet is the key to a healthy, mucus-free and disease-free body and it simply consists of eating high alkaline foods while staying away from acidic foods. Well…only if it were really that simple. We eat so much garbage these days and we live in a generation that eats out so much that in order to have success with the alkaline diet you either need to search for vegan restaurants in your area or start preparing your food at home consistently. Consistency truly is the key because people often see dieting as a short-term fix for their weight problems and then they tend to go back to their old ways after achieving their short-term goals or possibly after falling short of their goals. 0.1 What is the Alkaline Diet and What Are Alkaline Foods? 0.3 Does the Alkaline Diet Work? What is the Alkaline Diet and What Are Alkaline Foods? The philosophy of the alkaline diet is that meat, processed foods, refined sugars, and wheat are acidic foods that are toxic to the human body. Herbalists and alternative medicine practitioners advocate for the alkaline diet because they say that it makes the human body inhospitable to diseases and also contributes to healthy looking skin. Many feel that the route of disease and sickness is mucus and eating non-acidic, alkaline foods, your body will be rid of mucus and with remain healthy. An added benefit is that people naturally lose weight at the same time because a meatless and dairy-free diet also helps to eliminate waste and mucus in the body. However, the alkaline diet can be difficult to commit to for a lot of people since it focuses on only eating healthy foods that originated from the Earth as opposed to man-made foods created by scientists. In addition to consuming natural foods, any sugar that you consume should be natural like the sugar that you get from fresh fruits. While living the alkaline lifestyle, you also need to stay away from alcohol and coffee. This addiction keeps us purchasing more and more processed foods and also makes the consumer packaged goods (CPG) industry a lot of money. Because the diet puts an emphasis on eating raw foods and not killing the nutrients in your food, shopping for high alkaline foods and preparing meals consistently will be a big adjustment for many. To make things as easy as possible, I recommend steaming your food and lightly cooking your food every now if you get tired of raw foods and salads while living the alkaline lifestyle. Almost all vegetables and fruits are alkaline in nature so the alkaline diet is an easy transition for people who are already vegan. Vegetarians can also easily adapt to the alkaline diet because the high alkaline foods list consists of mostly fruits and vegetables. You just have to live by the alkaline diet food list, and that includes staying away from foods that are harmful to the body and preparing food that is fresh. Just follow the alkaline food chart and high alkaline foods list below and you should be fine. Yes, the alkaline diet works, but you have to stick to the plan consistently over a long period of time. Many have challenged the effectiveness of the Alkaline Diet because of the fact that food cannot substantially alter the pH level of the blood. The human body actually aims to achieve what is called homeostasis or keeping the level of alkalinity or acidity of the blood in its normal range. However, the alkaline diet is very effective in promoting optimal health and weight loss because it focuses on eating more fresh fruits and vegetables, drinking lots of water, avoiding processed food, avoiding refined sugar, and staying away from alcohol. Also, many herbalists such as Dr Sebi suggest that the alkaline diet helps in preventing kidney stones and diabetes in addition to improving heart health and brain functions. We’ll talk more about Dr Sebi later on in the article. Staying away from acidic foods like red meat and cheese as animal protein sources. However, researchers have not presented evidence of these claims until today. The core of the alkaline diet is focused mainly on the consumption of fruits and vegetables, especially those in its freshest state and the main goal is aimed at achieving healthy weight loss. On an alkaline diet, people do not need to take any food supplements or use any equipment to attain optimal health. If a person has a hobby of experimenting with different flavors, alkaline diet meals can be a lot more satisfying. However, for some dieters, the struggle is real because they would have to limit or even refrain from eating bread, dairy products that are low in fat, meat, and most especially sweets. Protein in the diet can only come from plant-based sources like tofu and beans, but people have to remember that they have to have enough protein in their diet because it is the nutrient that builds and repair tissues. The challenge becomes even tougher when people dine out, or when people travel or are too busy at work because food selection and preparation is very crucial. The alkaline diet is not a surefire weight loss regimen if the dieters do not engage in physical activities or proper exercise. The American Heart Association recommends a similar type of diet which places importance on eating fruits, vegetables, and whole-grains while staying away from processed foods. Alfredo Bowman (more popularly known as Dr. Sebi) is one of the most renowned people when it comes to lecturing and providing guidelines on the high alkaline foods. In fact, he adapted his alkaline diet to only include certain foods that he personally tested and found to not be acidic. He is not a physician and he does not diagnose or prescribe medications for different health disorders. He is actually a naturalist, biochemist, pathologist, and herbalist who specialized in plants and herbs and is also believed to have cured a lot of irreversible or incurable diseases and illnesses. His belief, plus his unique strategies, are mainly centered at the healing of the human body through the use of different plants and herbs. Dr. Sebi took an African approach to disease. This approach included a natural botanical therapeutic approach that brings the body to the alkaline state by cleansing it and detoxifying it in the most natural way possible because when the body is in the acidic state, the possibility of developing illnesses becomes greater. Purely natural vegetable cell food compounds are an important part of the change for anyone struggling with ill health. By removing accumulated toxins, and replacing depleted minerals, Cell Foods can rejuvenate damaged cell tissue, especially those eroded by acidity. The entire body is being treated by Dr. Sebi’s food compounds; it involves the organs such as the liver, lymph nodes, skin, gall bladder, colon, and even the kidneys. 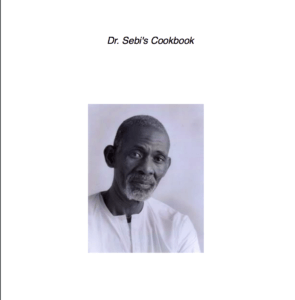 Dr. Sebi has provided a list of foods and recipes that he recommends from natural sources. The foods in the Dr Sebi diet plan are said to help reverse disease and restore health effectively. He recommends eating only foods that are available on the Dr Sebi food list because some foods that we think are natural were actually made by scientists in a lab at some point over the last few centuries. Eating these foods are often bad for our body because they are acidic instead of alkaline. Dr. Sebi recommends only eating fresh fruits and avoid canned or preserved ones. Dr Sebi also recommends that you stay away from the microwave as much as possible because the microwave kills living and electric components of the food that make them alkaline and help to make our bodies alkaline. To make it easier for people to find recipes conducive to the Alkaline diet Dr. Sebi released a cookbook and I have included a link to the ebook here. 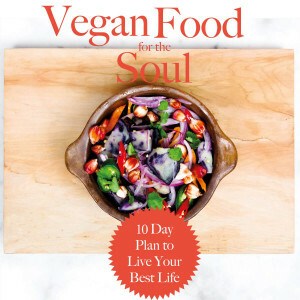 The main purpose of this cookbook is to help people in the transition from eating what is called “Man-made food” to what Dr. Sebi refers to as God-given food. This cookbook will help people through the bumpy journey and struggle while on the alkaline diet. Here are the recipe basics that people have enjoyed on their journey to a healthy lifestyle. As advised by the famous Dr. Sebi, it is best to consume foods that are non-hybridized or those that are grown in their natural and original breeds or origin. Organically grown produce provides the best health benefits and nutrients compared to those that have been grown using commercial pesticides, synthetic fertilizers, herbicides, and chemicals because these are toxic to the human body. The advantage of eating organically grown fruits and vegetables is that they taste even better; they are surely nutritious and they do not pose harm to the body. Evolution-based evidence showed that people from the past used to eat fruits, veggies, and nuts in its raw form because it was still a few hundred thousand years until man discover would hunting tools and fire. People during those times had a longer life span than when man learned to eat meat from dead animals and cook food with fire. A raw, plant-based diet is all they had back then and they had a really healthy lifestyle; no diseases like cancer existed then. As I mentioned before, many of us are addicted to eating unhealthy food, acidic food, and going out to eat at our favorite restaurants so it makes it hard for us to follow the Alkaline diet. I personally have tried the alkaline diet before and it worked great for losing weight, feeling great, clearing my head, and reducing stress, but even though I know how great it works, it still has been a struggle to stay on top of it. The first few days are usually the hardest because you are still trying to fight off those cravings for sugar and other processed foods. Addictive and acidic foods include coffee, beans, rice, soy, potatoes and potato chips, teas, chocolates, bread, juices, and much more. In many case, these foods can be considered hybrids. These foods are addictive in nature because of caffeine content, and because there is a high concentration of sugar and artificial flavors. However, I usually find solace in making alkaline waffles because it has some sweetness to it, I love breakfast, and eating waffles makes me feel like I’m not on a restrictive diet. There’s also a chef named Ty Pendland that comes up with recipes for all of your favorite foods using an Alkaline adaptation. The best part about it is that he posts videos of him making the food on Youtube so you can try his recipes and then make them your own. Getting to eat foods that you like is key to staying consistent with the diet because following alkaline food guidelines will definitely lead to healthy eating habits, a healthy lifestyle, weight loss (if necessary), and a healthier body, free from toxins that could lead to health problems. Like any other type of diet, the main purpose of the alkaline diet is to achieve a healthier body and achieve optimum health. Weight loss is just a natural byproduct of the alkaline lifestyle while you are working on making your body less hospitable to toxins that cause illnesses. Takes the guidelines and list of foods I provided and make it your own. Adding your own twist will your meals more satisfying and help you to stay committed to healthy living. This diet focuses on stimulating the production of insulin in the body. By increasing your insulin level, you will be able to convert refined carbohydrates into energy that can be stored inside your body, making it harder to store fats. The Zone Diet is another popular form of diet geared towards weight loss and weight control. It is also another type of diet that focuses on controlling insulin levels. The South Beach Diet has been one of the most popular types for a while now because it can be effective in driving weight loss and helping to sculpt your body. It is also recommended by popular cardiologists and nutritionists because the primary goal of diet is to lower the risk of developing heart disease. The Weight Watchers Diet is another commonly known diet regimen because of its effectiveness in weight loss. Jennifer Hudson had amazing results with this diet and also became a spokesperson for Weight Watchers after losing a ton of weight. This diet focuses on adjusting your eating habits, but it also encourages complementing your diet with proper exercise. The Vegan Diet is a way of life. People who believe in veganism do not eat or consume anything that comes from animal sources, including milk, eggs, dairy products, and meat. The extreme benefit of the vegan life is that it is said to put you in the best mental and physical health. The Vegetarian Diet has been one of the most popular types of diets for a long time too. Although this type can be sub-categorized into various forms, the basic concept is not to eat foods that are from animal sources. However, unlike vegans, vegetarians still may eat dairy products, eggs, and honey in their meal plans. The Mediterranean Diet focuses more on integrating fresh fruits, plants, beans, nuts, and cereals as the main sources of fats and yogurt is considered the main dairy food. The diet plan also includes poultry and fish in moderate amounts, 4 eggs a week, and small amounts of red meat plus a moderate gulp of wine. The Alkaline Diet is one of the most popular diets right now and many celebrities are using the alkaline diet because of its results.